Taken on 20th October 2011. 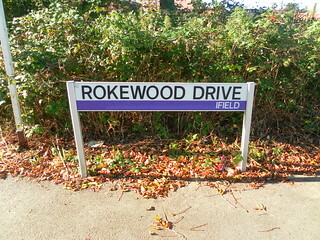 The Ifield neighbourhood’s colour scheme is purple, as demonstrated by this modern sign on a road near the new Hindu temple at the northern end of the neighbourhood. North of here is open countryside and the road to Charlwood.